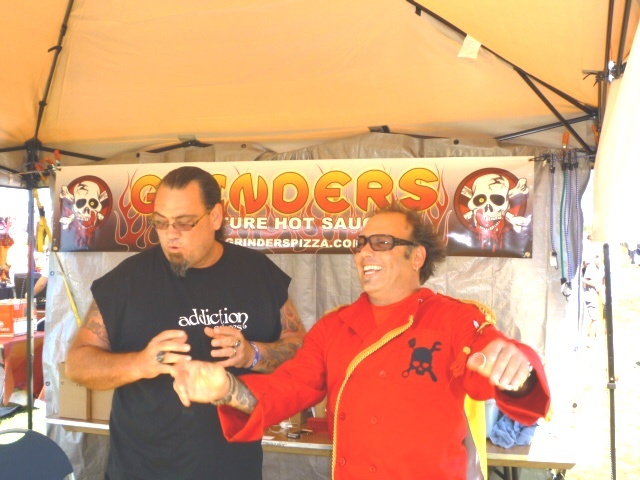 Buddah’s 2013 Ultimate Chilehead Roadtrip – Part 3 – I Love It Spicy! The show having a start time of noon was a relaxing way to kick off a Sunday morning. I got up early and got me another cheap pair of footwear from Wal-Mart again. I found sandals that were only $8.50 after taxes. They weren’t too bad for cheapies. They survived the muddiest of areas at the event. I headed to the show thereafter and spent time talking to the vendors and seeing how the first day went. I think the consensus was that of surprise. It might’ve been the best Saturday the festival had ever seen. Before the event started the show announced their people’s choice winners as voted on by the public the day before. It was a celebration of a job well done. A pat on the back from the people you hope to please when you first started this business. The clouds had disappeared, the sun was shining and bringing the heat. It wasn’t hot enough to dry up the mud, but the grounds were getting a wee bit more navigable. Yet, there were some seriously slippery patches that could drop you. I slipped on a few and it was a miracle that I kept my balance. At times it was like sliding on ice. 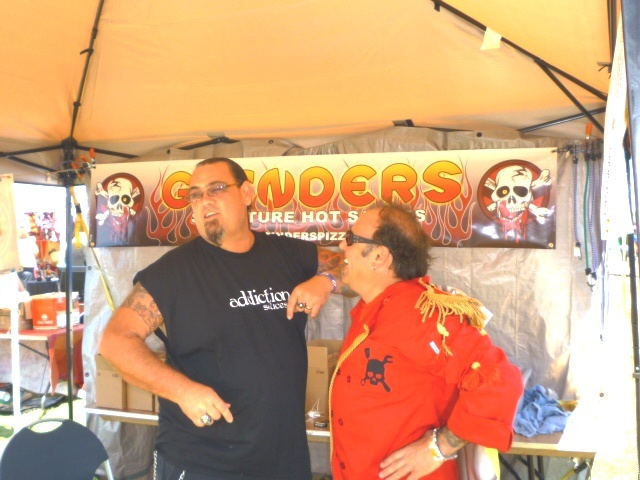 I watched Fiber Joe interview a few people, took a pic with him and Stretch of Grinders as you can see below, and then found my way back to the boudin balls. I had ordered these yesterday, and they were pretty good. I wanted to make sure the Sauce Goddess got some, so I brought over them to her and settled back into the booth to get me more sales experience. I said in the last post that I enjoyed the pitch, and I think I did much better the second day as Jen schooled me a little bit on feeding the masses. It was fun when the sales were reflecting the “mmm” factor of the grazing from the masses. I respect how much vendors put out in product just in hopes they can wrestle some bills away from the samples. There is a lot of food that goes out free. It is like bait on a hook, and you hope your line gets tugged and you can reel in the reward. You don’t want to lose all your bait and bring home to fish. With only 5 hours of the festival on Sunday, the day went by extraordinarily fast. Before you knew it, it was time to pack up things. Fiber Joe and his posse of his Brother Tony and friend Johnny were essentially the breakdown crew for the Sauce Goddess. Although I helped out at the booth, they were moving stuff back and forth to the Sauce Goddess vehicle. Jen is very meticulous when it comes to setting up, but even more so in breaking down. She was doing the Chile Pepper Extravaganza in a week and wanted to make the transition as easily as possible. So putting things back in a certain order was paramount. So when there was a loll in the packing, team fiber looked around to see who else they could assist. They’re some great people in New Mexico. Representing the 871 with pride. Despite the muddy confines of the Stafford Centre grounds, everyone had a seamless breakdown. I noticed that Vic Clinco claimed to have swiped a picture that was on Shawna Kearley’s Facebook page of the CaJohn booth area after they were done breakdown. 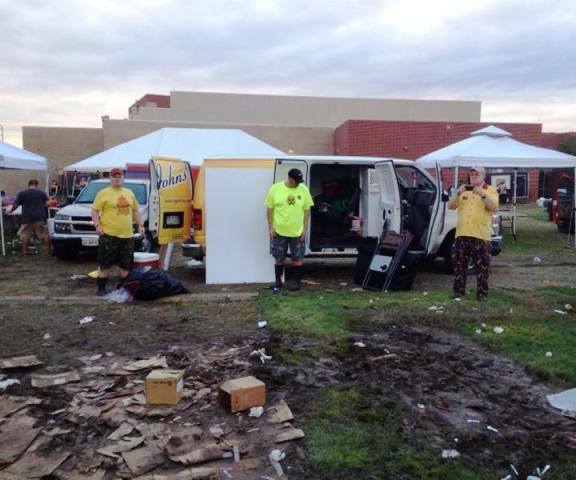 It showed what kind of mess that the CaJohn krewe had to deal with for 2 days of the festival. This was a result of the fallout/collapse of their tent overnight on Friday from the huge downpour. So if the photo was good enough for Vic to steal from Shawna, I decided it was good enough for ILIS to swipe it from Vic. So check this muddy mess. 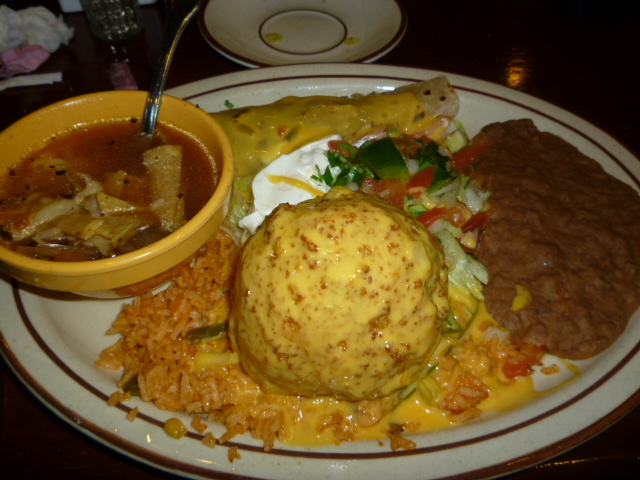 Once everyone was done breaking down, we headed over to Los Gallitos for some very good Mexican fare. I continued to keep as close to my low-carb diet with an order of fajitas without the tortillas, although I did order the whole wheat ones, I only ate one. I knew I would not be as strict when I hit Louisiana for my favorite kind of food, Cajun/Creole. This night’s meal was quite satisfying. We had this restaurant last year and they are known for their stuffed avocados which are also deep-fried. The pic below is the one I had with shrimp inside. Many of the people at the restaurant got a version this. Then there was the Fiber Joe posse. You can see how much fun they had just by looking at their faces while we talked about the show. Joe is loving the community even more now. He has a full taste and talking to him on the phone, makes me believe he is looking to the next show he can travel to. North Market was one we discussed. As I tell everyone in this community, once you get a taste of it, you want more and more of it. Just don’t do what I do, and go broke trying to do every show, every year. Not a good financial strategy for a postal worker. 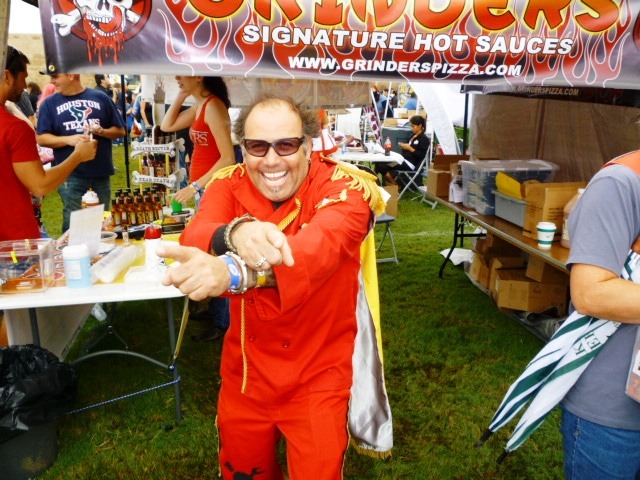 Anyway, the Houston Hot Sauce Festival is an event that should be on everyone’s schedule, whether it be to come as a vendor or a chilehead. Carol Borge’s now with 13 years of experience under her belt, has now made the festival an event to be reckoned with. It is entertaining for all ages and something to look forward to each and every year. Congrats again Carol for a job well done. Part 4 will be the trip to Lafayette and New Iberia, Louisiana with the Sauce Goddess and our time spent with Dana Romero. He gives us an impressive sneak peak at the grounds for the Louisiana Hot Sauce Festival coming July 19-20, 2014. I can not wait to share with you some of the details and a few pics I took. Until then. Shout out to Fiber Joe and Tony and Johnny- OMG yeah I am more than a bit meticulous and you guys hung with my attention to apparently meaningless details… Thanks a ton for all your help. Not only am I meticulous, but also a positive “it will sell” type… so there was once again a lot more product to carry than sold. 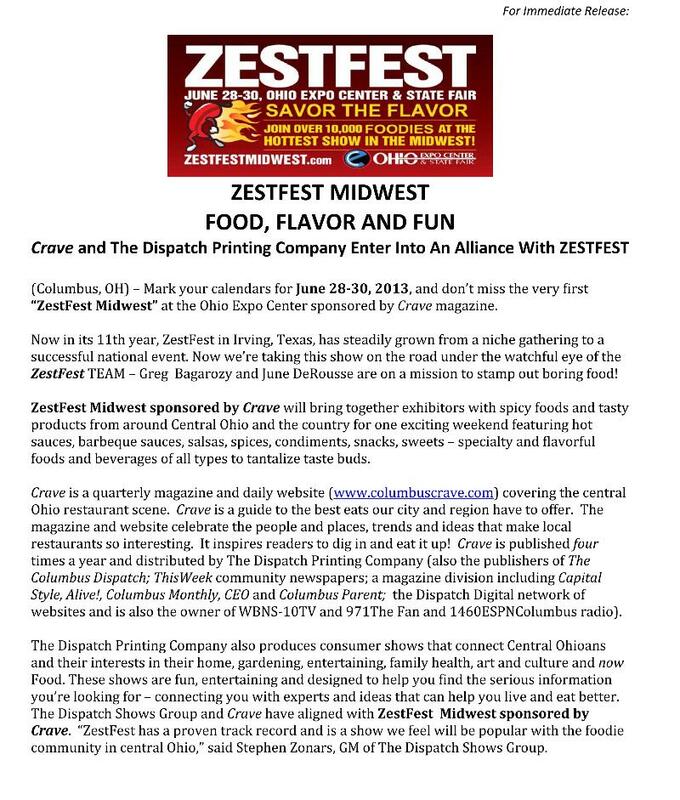 So thanks CaJohn and Patter Fam for bringing product left over from the Zestfest Midwest horrible experience but also to Fiber Joe for taking some extras back to New Mexico to hang out and wait for me to pick up next March. yep I have product EVERYWHERE.